WHERE CAN I BUY WILD BIKES? We sell exclusively through Go Outdoors in the UK. You can head to the website to order online or find your nearest store. 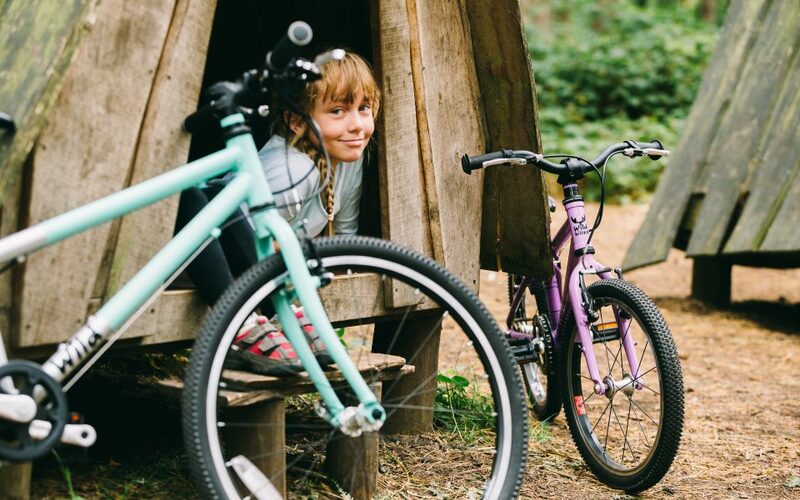 You can check the size guide on this site or you can pop into your nearest Go Outdoors store to try the different sizes and see which feels best for your child. It’s worth checking if they have the size and colour you are thinking of buying in your local store before you make the journey. Will I have to assemble the bike and is it hard to assemble? 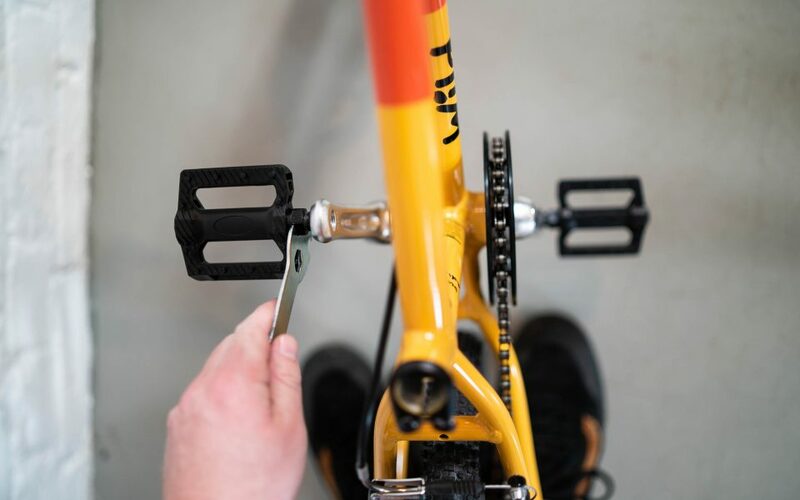 Our bikes come pre-assembled but require a few steps to turn them into a complete bike. Follow the guide on the “Building Your Bike” section of this website or in the manual that comes with the bike. 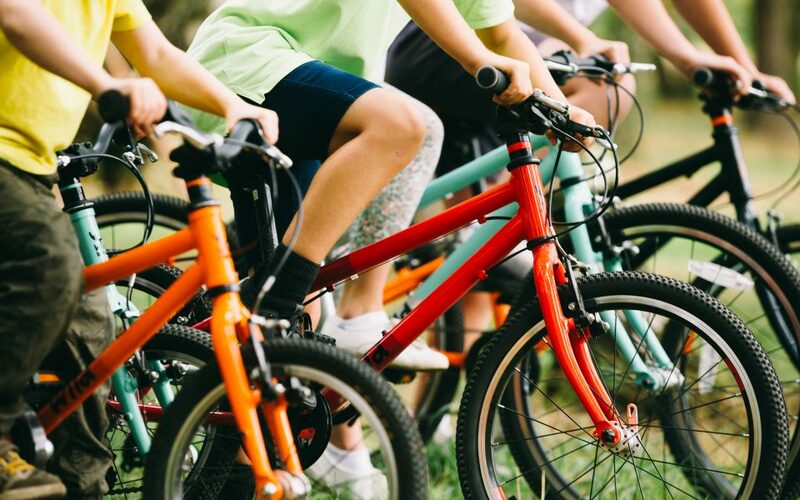 How do i get my child started on a bike? We recommend starting your child on a lightweight balance bike from 2-3 years old. This will help them to develop the required balance that they will need when they start on a pedal bike. Once they have got the hang of a balance bike the transition to a pedal bike will be relatively smooth. 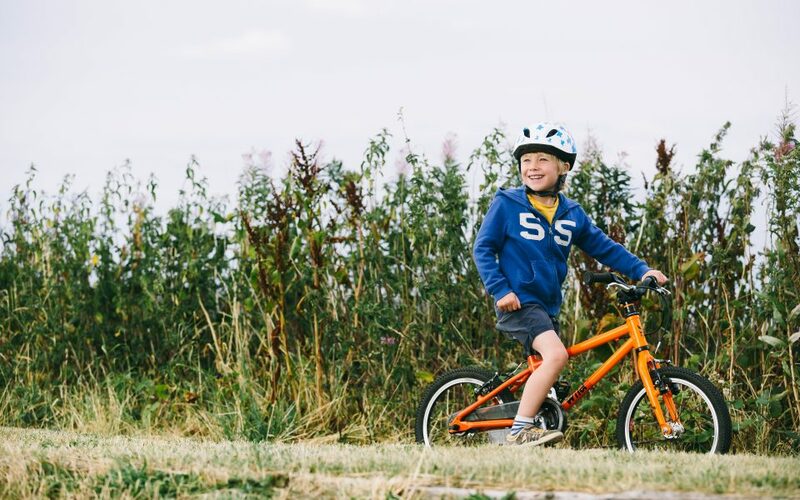 Our pedal bikes are suitable for kids that are 3+. 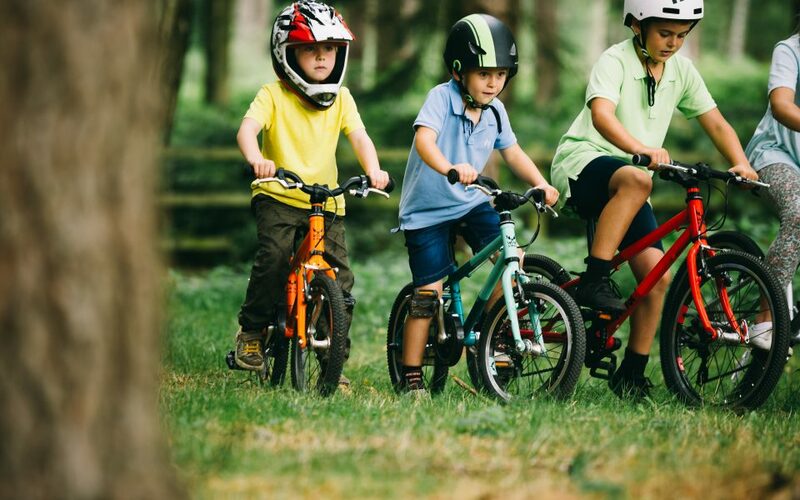 If your child is too big for a balance bike then you can take the pedals off our bikes and they can scoot along until they are confident balancing. How do i set the saddle height? Your child should be able put their feet flat on the floor when they are sat on the saddle. This will ensure your child feels in control and safe whilst riding. See the user manual for how to adjust the saddle height. They should also be able to easily reach the handlebars. How long will the bike fit my child? 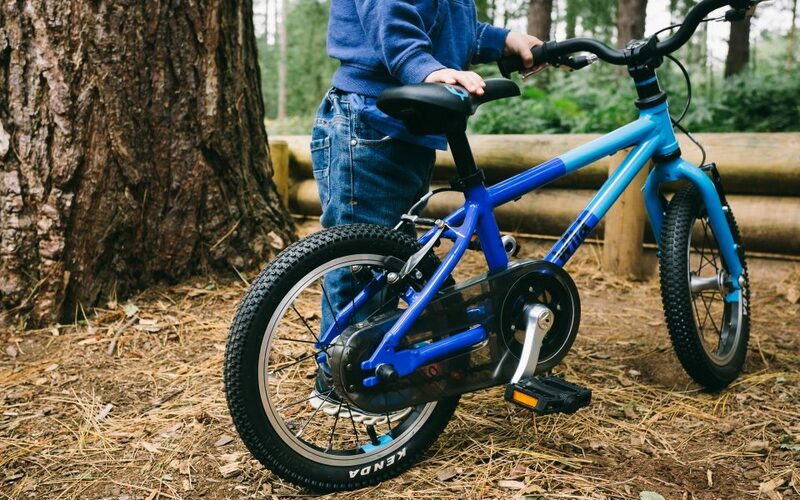 We expect that our bikes will last your child around 2 years, depending on how fast they grow! 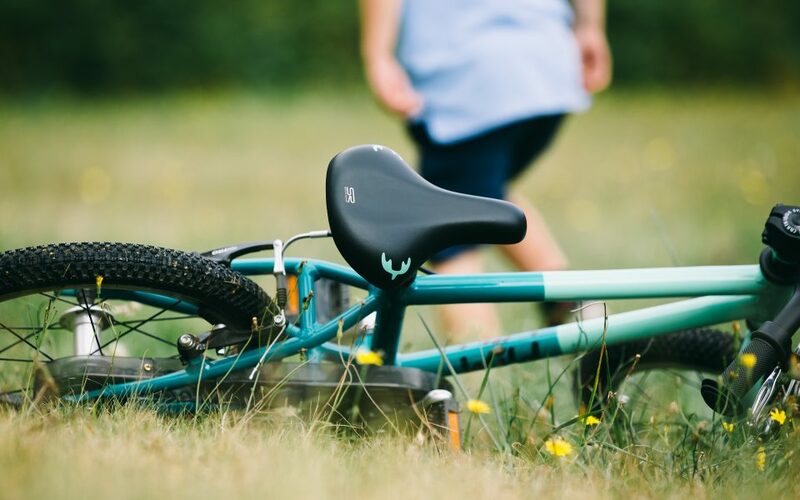 The saddle is easily adjusted to fit your child as they grow. See the user manual for how to do this. All our bikes have a standard 12 month warranty. If you have a warranty concern please contact your local Go Outdoors store. They are built to last and we expect your bike to last many years if properly maintained. Where can I get more inner tubes? Go Outdoors stock inner tubes to fit all sizes of Wild bikes. 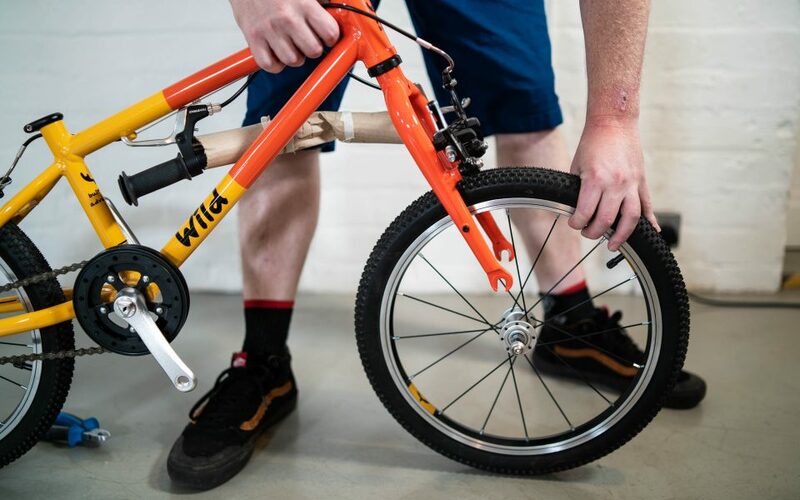 Each bike is sized based on the wheel size so if you have a 16″ bike you will need a 16″ inner tube.